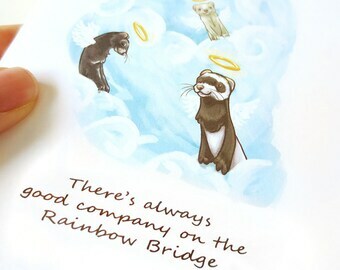 This pet sympathy card features the an adorable little chinchilla angel on top of the Rainbow Bridge. 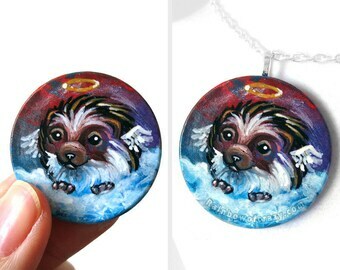 This cute chinchilla has a little halo, and is spinning around, having a bath in the clouds! 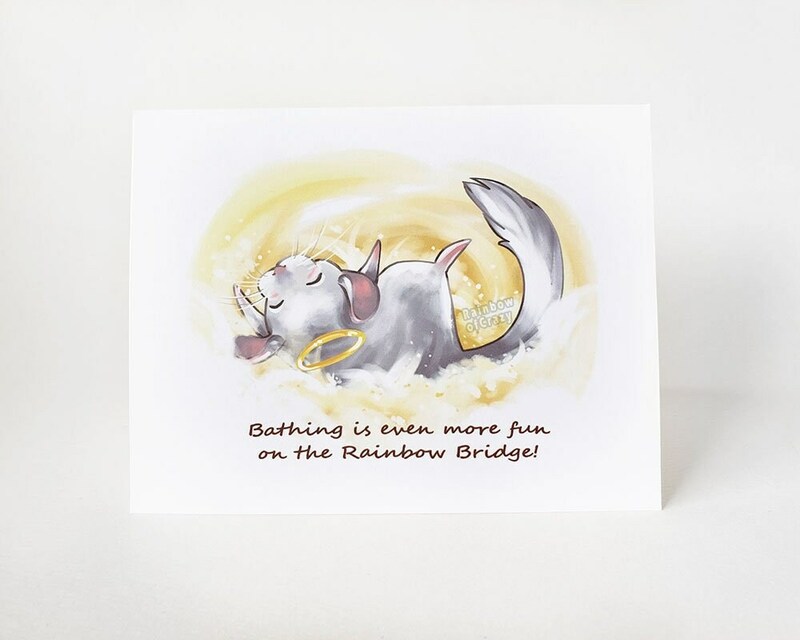 The cute card reads "Bathing is even more fun on the Rainbow Bridge!". 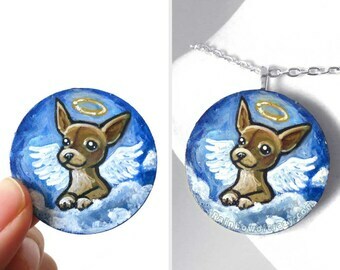 This sweet angel is happy to wait faithfully for the day it will see its owner once again. 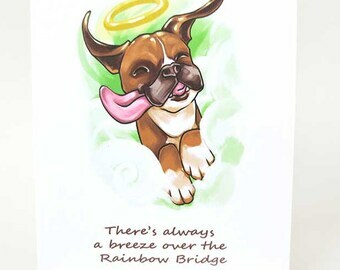 This card is can be personalized with your own text and is perfect to give to that special friend that has lost their special pet. 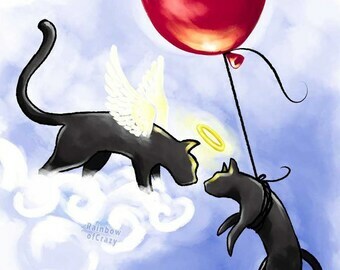 They will never be forgotten. Watermarks will not be on the actual card. 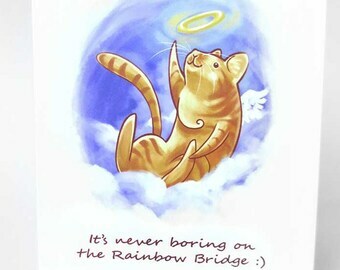 This cute card is printed with archival pigment inks on high quality, heavyweight 110lb card stock. Two sizes are available. Option one: 4 1/4" x 5 1/2". 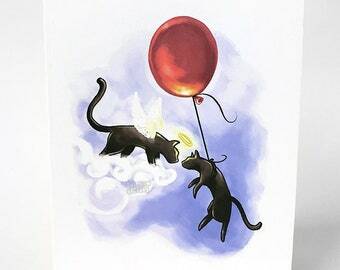 Option two: 5" x 7". The card has the shop name on the back and includes a white envelope. 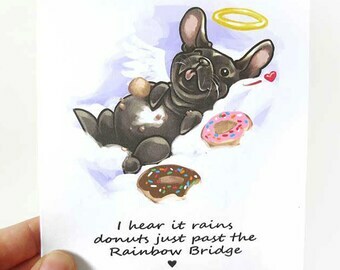 Love all of the cards I've ordered from this etsy seller! 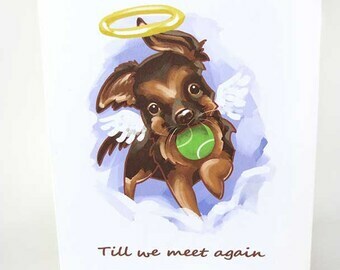 The personalization is always perfect and the artwork on every card is beautifully done. Perfect again! Seller was kind enough to ship directly to recipient and arrived quickly.